In his Trieste Diary, or Book of Days, Stanislaus Joyce mentions that one night in April 1907, as he and his brother were strolling through the Cittavecchia in Trieste, they met two of their students who were ‘evidently on their way to the kips’, and that this prompted a series of reflections by Joyce on prostitution in Rome. This easy pairing of a Dublin reality with a Triestine one (the ‘kips’ referred specifically to the notorious Monto district in Dublin), the image of the older, more worldly- (and bordello-) wise James expounding while the younger, inexperienced Stanislaus listens and records, and the sense of a practise so commonplace as to be immediately recognisable and occasion neither scandal nor surprise, provide us with a photographic glimpse of prostitution in Trieste, and in Europe in general, at the turn of the 20th century. It’s a pity that more of Joyce’s comments have not come down to us, but the questions this scene evokes remain, hovering about the two brothers as they continue their noctambulation through the ‘phantasmal mirth’ of streets which no longer exist: What role did prostitution, and its necessary corollary, syphilis, play in Joyce’s life and works? What did the term ‘whore’, in all its many connotations and declinations, signify for the Irish writer? Did Joyce, whose early initiation into Dublin’s Nighttown is well known, also frequent the bordellos, or casini in Trieste? Is the ‘Circe’ episode of Ulysses based only on the Monto district in Dublin, or does it also owe something to the extensive reality of prostitution as it existed in Trieste? Was Joyce syphilitic? 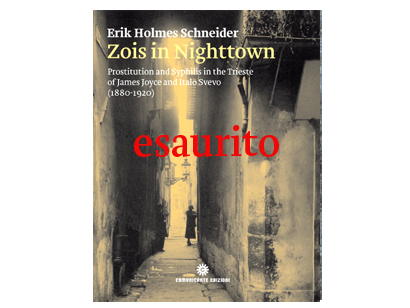 Based on extensive research in local medical, police and Austrian government archives, together with a close rereading of many of the Irish writer’s key texts, Zois in Nighttown offers a uniquely Triestine perspective and approach to understanding the importance and function of these and related issues in James Joyce’s life and works. Erik Holmes Schneider was born in Berlin and raised and educated in America. He has lived in Trieste for more than 20 years. 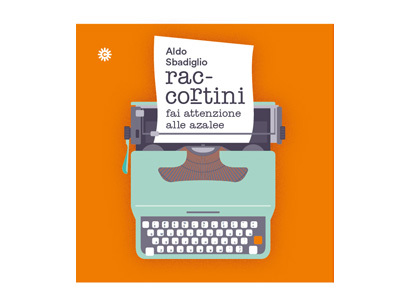 Co-founder and coordinator of the Trieste James Joyce Museum from 2004-2008, he has carried out and published numerous researches on Joyce’s time in the Adriatic city, curated several major exhibitions and participated in many conferences and events dedicated to the Irish writer.